Advertises your business with us! We will give you exposure for a great price. 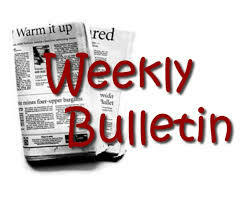 The Bulletin is published weekly and appears below in PDF format.